The Fairey Swordfish was obsolete a long time before WWII started. Nobody bothered with that fact and it achieved some amazing results in some very important engagements. A torpedo from a Swordfish was responsible for disabling the Bismark allowing the Royal Navy to close in and sink her, thus removing a major threat to shipping in The Atlantic and freeing up resources for operations elsewhere. Swordfish were responsible for the sinking or disabling of half the Italian Navy fleet at Taranto and they took part in the heroic battle in the English Channel against the Scharnhorst, Gneisenau and Prinz Eugen with over 100 Luftwaffe fighters under the command of Adolph Galland on patrol to protect the convoy … all this in an old metal and fabric, open cockpit biplane with a maximum speed of 120 knots. 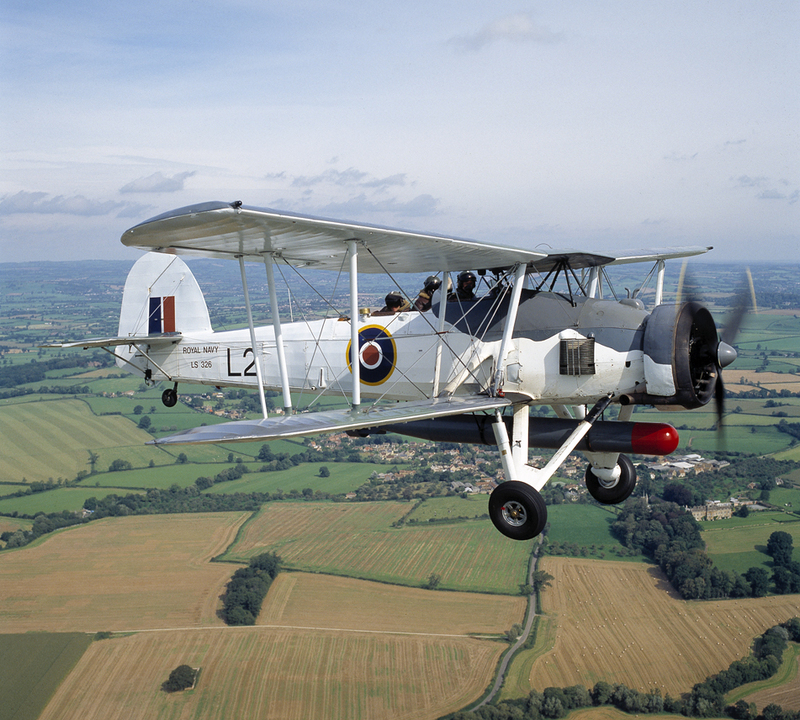 The Royal Navy Historic Flight is based at Yeovilton and currently operates two restored aircraft. This shot was taken over The Needles at the western end of the Isle of Wight of the south coast of England. 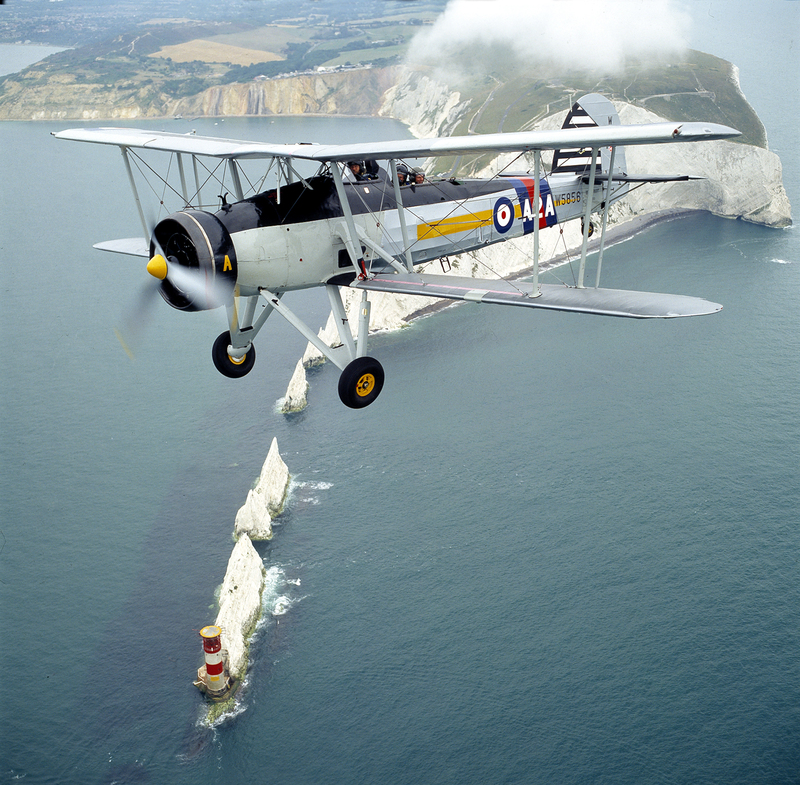 The Swordfish depicted below is the original aircraft operated by the Royal Navy Historic Flight since its inauguration and was photographed near its base at RNAS Yeovilton, Somerset.